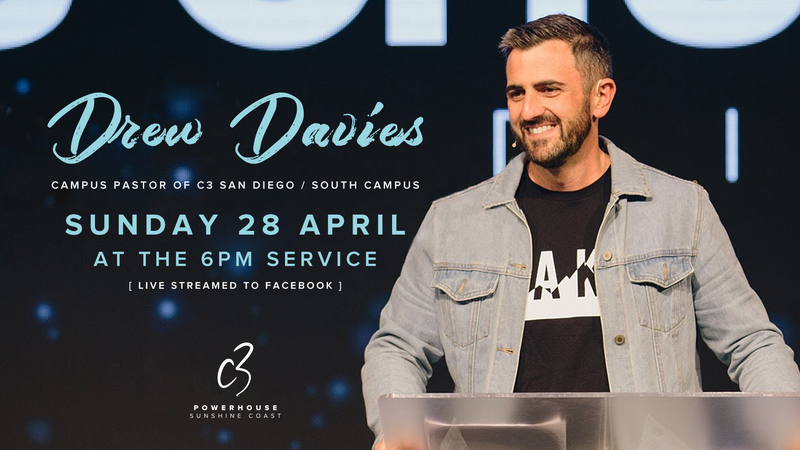 We’re excited to invite you to hear our Special Guest speaker, Ps Drew Davies on Sunday 28th April at the 6pm service. Ps Drew was born and raised in Brisbane and moved to San Diego, California to be part of C3 San Diego in 2011. Drew and his wife Emma planted C3 San Diego’s South Campus in 2015 under Ps Jurgen and Leanne Matthesius and it has grown to become a healthy and vibrant church in the South Bay of San Diego. Drew and Emma have 2 children, Georgia who is 5 years old and Jack who is 3 years old. With his fresh style and impacting messages, we know that you will get a lot from what Ps Drew has to bring. You can share our event and let us know which service you’re coming to by going to our Facebook event page here. Can’t wait to see you in church!